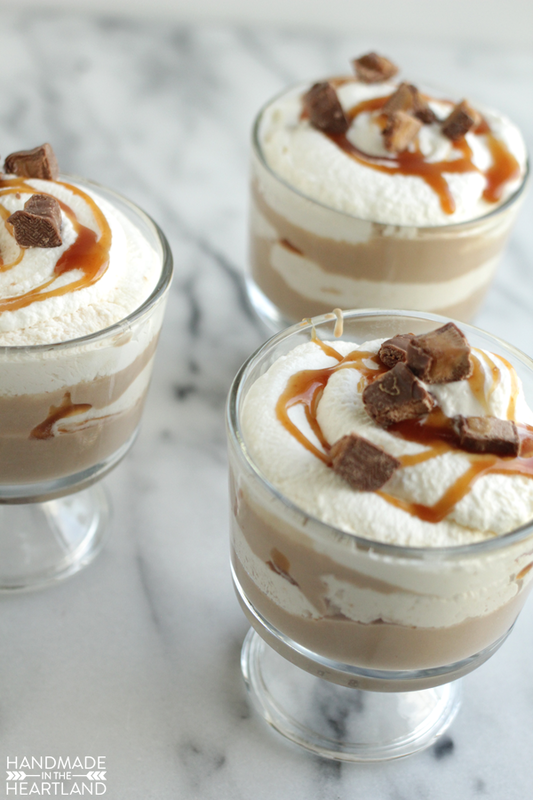 Chocolate, caramel and cream might be the perfect combination. This recipe for parfaits is such a light and delicious dessert that you can make at home and impress whoever it is that will be joining you for after dinner treats. 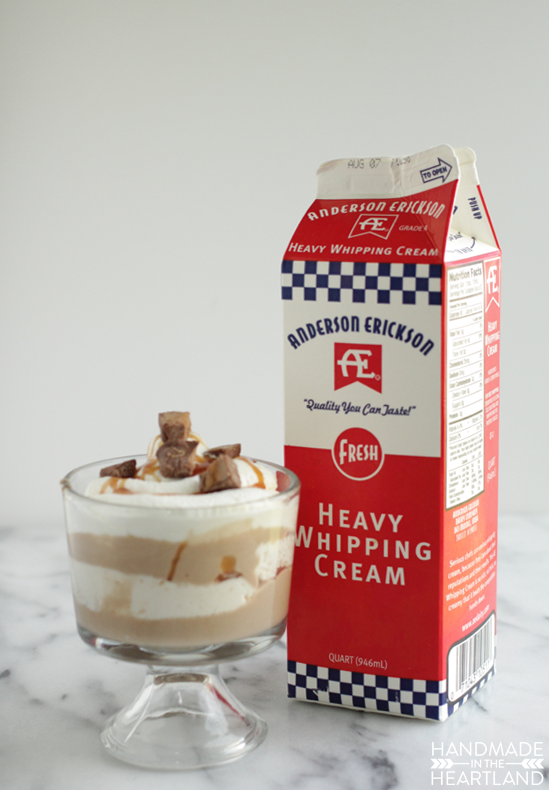 When I visited the AE Dairy Headquarters earlier this year I knew one of the products that I would be using a lot would be the heavy whipping cream. I learned that heavy whipping cream can be different depending on the brand you buy- AE‘s is 40% butterfat with no emulsifiers or anything added to it to make it whip, where other brands do add in agents to help it whip that have a lower butterfat content. On the ingredient list on the side of a AE heavy whipping cream container you’ll only see 1- cream. 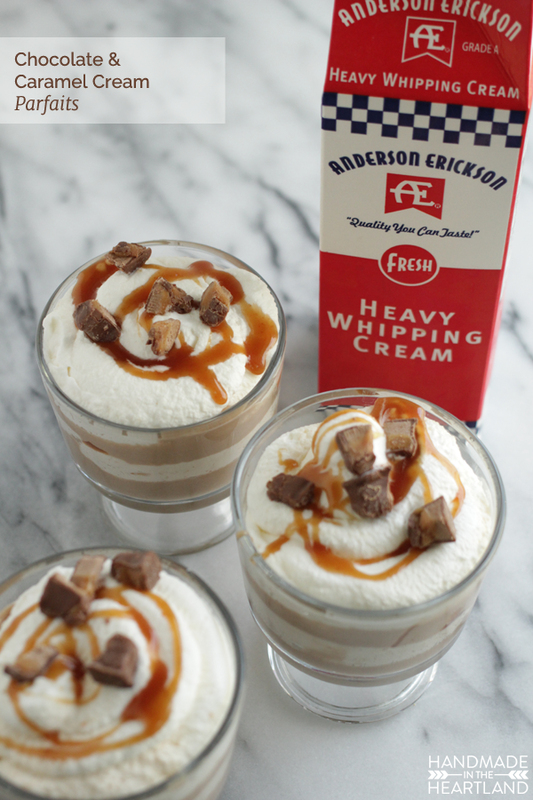 When making this parfait I made fresh whipped cream with the AE whipping cream and it whipped beautifully and in a matter of just a few minutes. 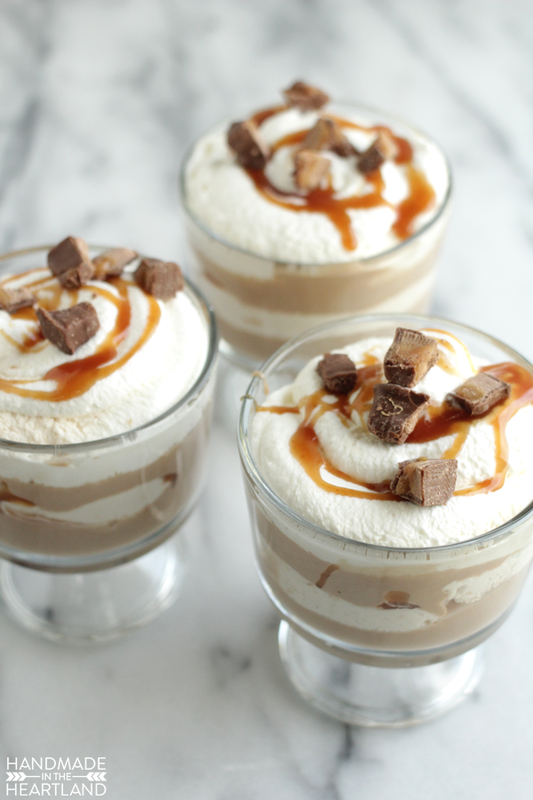 Parfaits are so fun and pretty to look at, next time you are having guests over I highly recommend pulling out your trifle dish or getting some individual parfait dishes (I got those at Walmart!) and wowing them with your kitchen skills. Like I mentioned before not all cream is created equal and when making fresh whipped cream I can easily tell the difference when I use AE Heavy Whipping Cream, its whips up so easily and is tastes so good. This recipe calls for caramel sauce and if you have time make your own, my recipe is HERE and it is SO good. In a pinch you can always use a store-bought version found in the ice cream topping aisle but honestly it doesn’t compare to a homemade version. Make the chocolate layer first. In a bowl of stand mixer cream the sugar and butter until light and fluffy, blend in the cooled chocolate and vanilla. Next add in the eggs one at a time, after you add each egg beat for 5-10 minutes until it gets fluffy. After adding the eggs you should have a light but fluffy pudding-type consistency. Put it in a bowl and refrigerate for several hours until its set. It helps to do this part the night before. 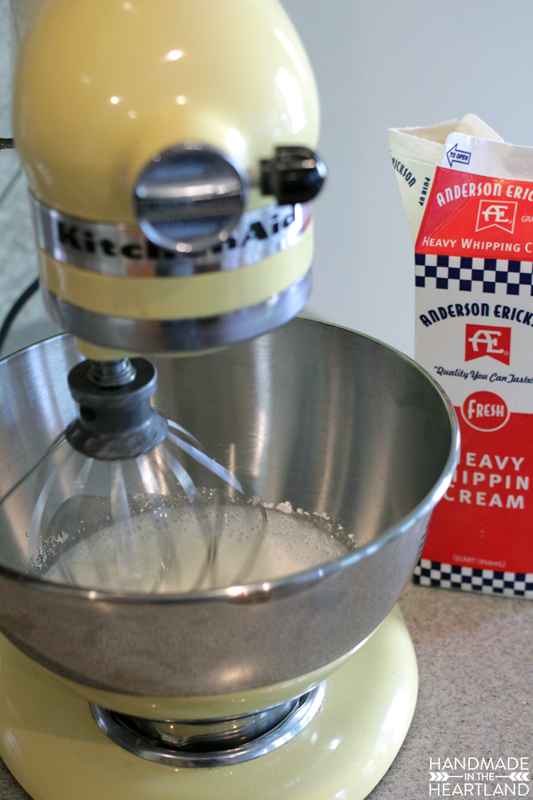 Make the fresh whipped cream next by putting your chilled AE Heavy Whipping Cream in the bowl of a stand mixer with the whisk attachment. Add the powdered sugar and mix at medium to high speed for several minutes until stiff peaks form. To assemble the parfaits put the whipped cream & the chocolate silk pudding into separate pastry bags. 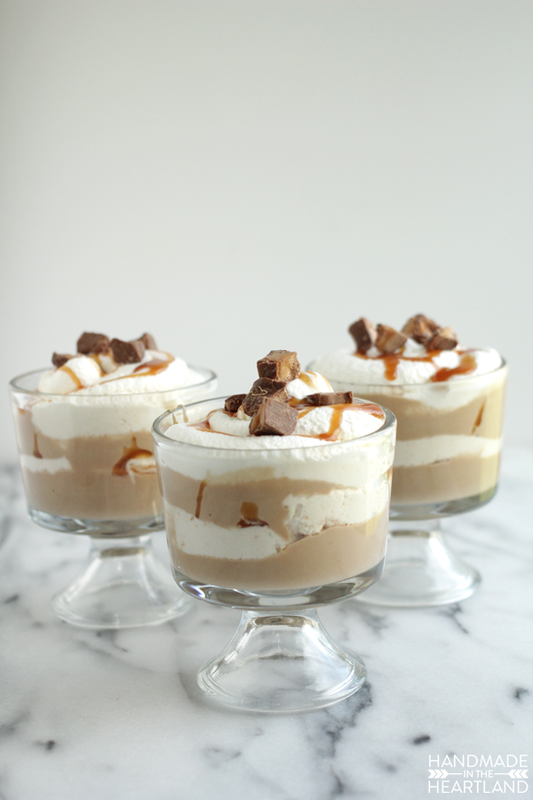 Pipe into your trifle dish or parfait dishes a layer of chocolate, then drizzle some caramel sauce, then pipe on some whipped cream. Repeat this a second time and then add some chopped up Milkway bites to the top. 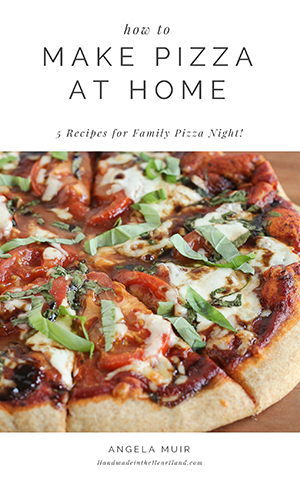 If you want to make these ahead feel free to pop them back in the fridge until serving time, up to a day in advance.